LOUISVILLE When you hear experts speak about advancements in the field of cancer, you might immediately think of clinical trials or treatment protocols, but Joseph Flynn, DO, MPH, is not stopping there. 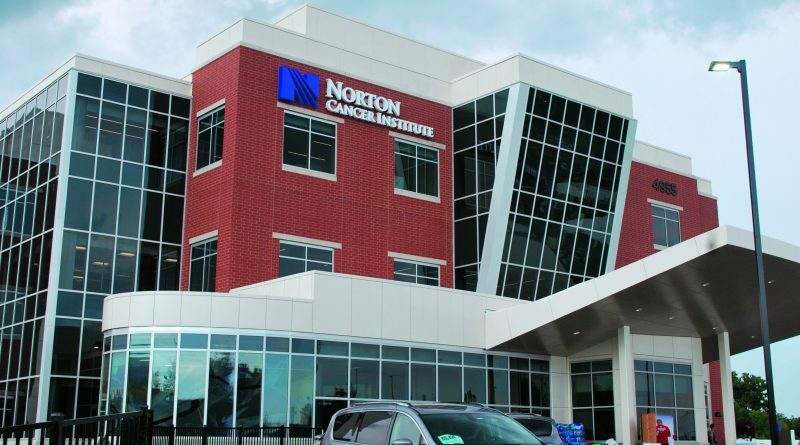 As physician-in-chief of Norton Cancer Institute in Louisville, he and Norton Healthcare are taking patient-centric cancer care advancements to the next level at the new Norton Cancer Institute-Brownsboro. The $38 million, four-floor center is 48,000 square-ft. The center’s features include a streamlined registration area using mobile apps, online pre-registration, and kiosks for self check-in. In order to enhance privacy and patient comfort, key areas will use more natural lighting, noise-dampening acoustics, white noise, and music. The strategic use of colors and textures will facilitate wayfinding. For patient rooms, use of a modular interior design system with simply configured panels will make it easy to adapt to changing needs of patients or staff. Flynn, who joined Norton Healthcare as physician-in-chief of Norton Cancer Institute in November 2015, brings a wealth of experience in both operational business processes and oncology. Originally, Flynn’s career path was in medical equipment and pharmaceutical sales. But, when his mother got leukemia, he went to medical school and the U.S. Army, training in oncology at The Walter Reed Army Medical Center. After that, he worked for the Army in several capacities, including time in Germany in a military hospital that supported the second Gulf War. 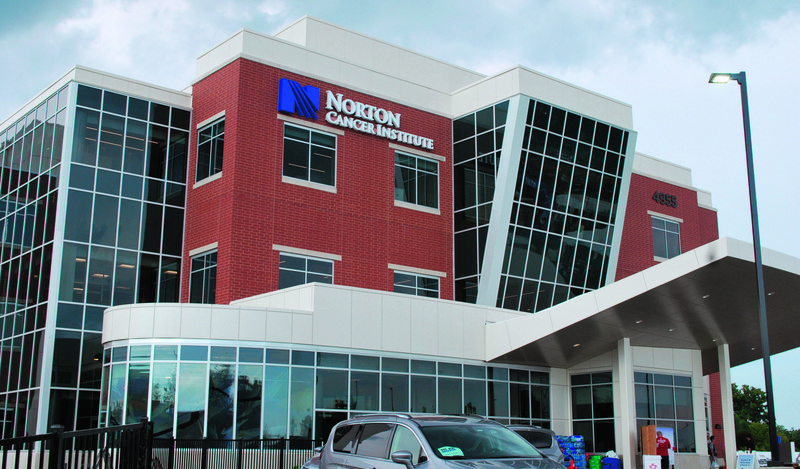 When Flynn arrived at Norton Healthcare, the new Norton Cancer Institute-Brownsboro was barely on the radar. He was excited to be involved in the development from the ground floor. Instead of patients being diagnosed and referred to multiple specialists, Norton Cancer Institute-Brownsboro is using a model where patients can meet everyone right up front with no unnecessary waiting, even as quickly as the day they’re diagnosed. Flynn says the mission of Norton Cancer Institute is to cure cancer and eliminate suffering.